It’s the best way to celebrate the summer, complete with costumes, bikes, music, performers, contests and beer. New Belgium Brewing’s Tour de Fat is coming to City Park in Denver, Colo. on Saturday, September 6, 2014. The daylong event is free, yet all donations and proceeds from beer and merchandise sales go to Denver-area non-profits. In total the 2013 season raised nearly $536,000, with the Denver stop bringing in $77,017. This year, all funds raised in Denver will go to Bike Denver and The Denver Cruisers. At Tour de Fat friends, family and neighbors are all invited to come enjoy eclectic entertainment, brewing education, a bicycle revival and even a fashion show of the best Tour de Fat costumes. In the afternoon, the stages heat up with acts like The Handsome Little Devils and Lucius. The event kicks off with a costumed bicycle parade that winds through city streets. The parade begins and ends in City Park, where the rest of the day’s entertainment shines from musical acts to yo-yo performers, bike contests and even vaudeville acts. 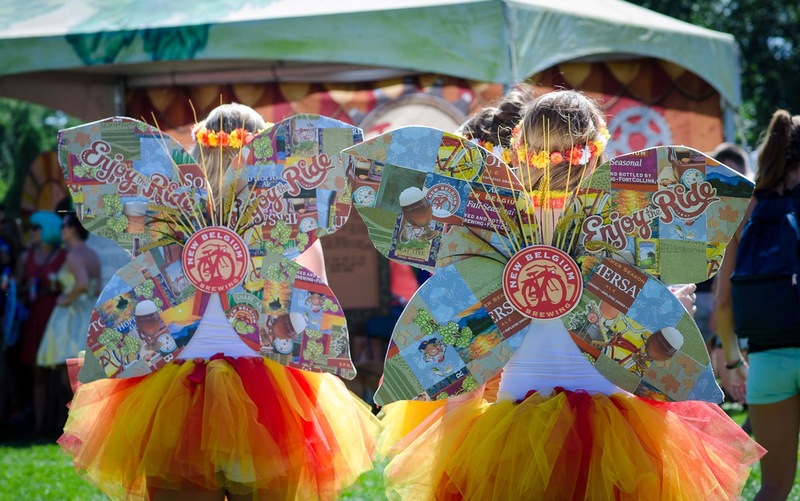 Throughout the day, kids of all ages can ride funky bikes in the bike corral, eat delicious fare, relax in the grass, and participate in games and activities such as a “Thousand Person Dance Contest,” which will determine the winner of a 2014 New Belgium Cruiser Bike. Everyone 21 and older can sample new and classic favorites from New Belgium, including the brewery’s flagship brew, Fat Tire, New Belgium’s year-round offering, Snapshot Wheat, and selections from the acclaimed Lips of Faith series. No bike? No problem! Tour de Fat is partnering with Denver B-cycle to provide bikes to participants who are missing some wheels. For just $20, people can rent a B-cycle for Tour de Fat. The bike just needs to be returned by midnight on September 6. To take advantage of this deal, purchase an $8 membership at any B-cycle kiosk, before Tour de Fat, using the promotional code 9614. The first 100 people to take a picture with their B-cycle and then post it to Twitter or Facebook, tagging Denver B-cycle, can get a free beer token by showing off the post at the Denver B-cycle tent. This year, New Belgium will once again encourage one brave role model to step on stage to trade in his or her car keys and pledge to live car-free for one year. Each swapper is awarded a stipend to buy his or her own commuter bike. We’re now on the hunt for a swapper in Denver. Car-for-Bike Swappers are chosen after submitting an application describing why they are ready to give up their vehicle for the gift of two wheels. To apply, visit: http://www.newbelgium.com/events/tour-de-fat/denver.aspx. 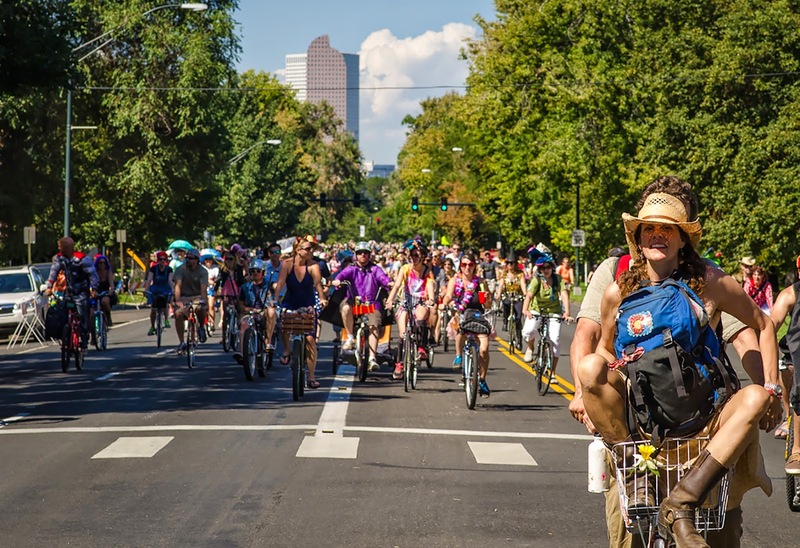 Apply to be the Denver Tour de Fat's car-for-bike trader now! Sign up to volunteer at the Denver Tour de Fat. 3:35 p.m. — 1,000 Person Dance Contest – winner receives a New Belgium cruiser bike!